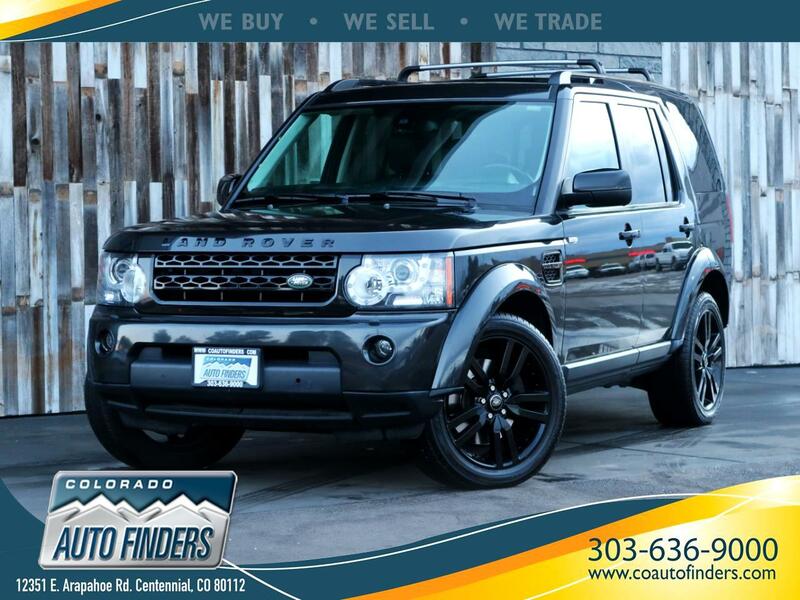 2013 Land Rover LR4 is for Sale in Centennial, CO. Not only Preserving the English Eloquence and Style but Also Showcasing Serious Off-Road Capability, this LR4 is a Total Package Stunner! With a PERFECT Shade of Dark Grey for the Exterior and Black Leather Interior, You will want to be Driving the LR4 ALL OF THE TIME! Other Great Features of this LR4 Include: 4x4, Aux, USB, XM, AM/FM, Navigation, Backup Camera, Power Windows/Locks, 3 (YES 3) Sunroofs, Heated Front and Back Seats, Power Tailgate and a Luggage Rack.